Does your garage sometime open before you have had time to activate your garage remote or circuit board? Having your garage door open and close without activation can lead to several concerns. Today United Garage Doors will share some common causes that can trigger your garage door to open or close without any activation and what can be done to correct the issue. Why Does My Garage Door Open By Itself After Closing? Aging Batteries – One cause of a garage door activating is aging or dying remote batteries. When your garage door opens or closes on its own, first try to change the remote batteries first and see if the problem stops. Remote Buttons Stick – After frequent uses of the garage door remote, sometimes the buttons can begin to stick. In many cases the remote button sticking is the direct problem of a garage door opening or closing on its own. If your remote gets frequent usage, and the buttons begin to stick when you push on it, you may want to get another remote and reprogram it. Circuit Board – All garage doors use a circuit board for the remote and garage door opener to give the command to activate the garage door. Sometimes there is a malfunction with the circuit board and this can cause the circuit board to activate the garage door. 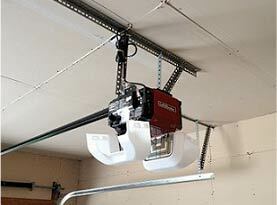 This can be one of the worst problems to have as your garage door can open or close when no one is home. If it is a problem with the remote, then you will need to be close enough to the circuit board to read the signal. 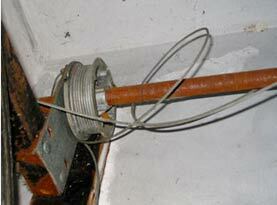 Power Surges – There is a code that is sent to the circuit board to activate the garage door. Sometimes, when there is frequent power surges, the codes can get scrambled and cause the door to open. This problem is rare. However, it sometimes does occur. 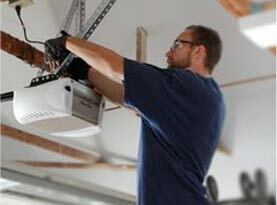 If you have experienced frequent power surges, make sure to let your garage door technician know. The technician can help figure out the cause of the problem and correct it. Poor Wiring – Sometimes the problem of a garage door activating on its own could be due to the wiring system of the garage door’s controls. In some cases, the connections to the garage door motor can be misaligned and cause the wrong signal to be sent to your garage door opener. Sometimes damage to the wiring of the garage door system can have a direct affect to the garage door sensors which can become dangerous if not repaired. How to Fix a Garage Door Opening By Itself! When a garage door seems to be activating without any direct cause, you can first check the batteries of the remote or you may want to replace the entire remote. 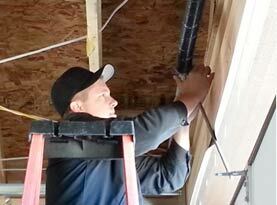 However if the problem continues, you will need a professional garage door technician to come and inspect the system. We will test the circuit board, check wiring and correct the problem. It can be a health hazard when a garage door activates on it own. Additionally, it can leave your home unprotected. If your garage door is opening or closing on its own, contact United Garage Doors today.